We are all familiar with ‘diet’ as it pertains to weight loss that restricts calories and highlights guilt. Today, health experts are using a more mindful approach to nutrition choices which focuses on eating slowly, and paying attention to texture, flavour, and other sensations. We have applied a similar mindful approach when it comes to ingesting social media. Social media has much potential power to inform, inspire, and connect us. But it can also stress, depress, and harm our relationships and self-esteem. Social media has been shown to help strengthen connections between families and friends who are separated geographically. Social media may be used to enhance wellness and promote healthy behaviors, such as smoking cessation and balanced nutrition. Research supports the use of social media in fostering connections and social inclusion among users who may feel excluded by their peers, such as those who are exploring gender identity, sexuality, or other issues. Studies show that those with use social media around bedtime or who sleep with mobile devices in their rooms are at greater risk of sleep disturbances and have lowered academic performance over time. Engagement with strangers on social media sites increases the likelihood of ‘shallow’ comments and judgment of self, placing appearance above other qualities. Older adolescents who use social media passively (viewing others’ photos) showed a decline in their own life satisfaction. Adolescents exposed to alcohol, tobacco use, or sexual behaviors through social media are associated with earlier initiation of these behaviors. Exposure to FOMO (fear of missing out) phenomenon is intensified as a teens’ engagement in social media increases. The more that teens look at photos of their own bodies in their posts or when they’ve been tagged by others, the more they engage in body surveillance and self-judgement. To optimize the good and the avoid the bad and the ugly, mindful social media use is key. Our recommended “diet” does not just centre on trimming the fat by restricting time or content. And it does not feature elements of shame or guilt that can result in power struggles. 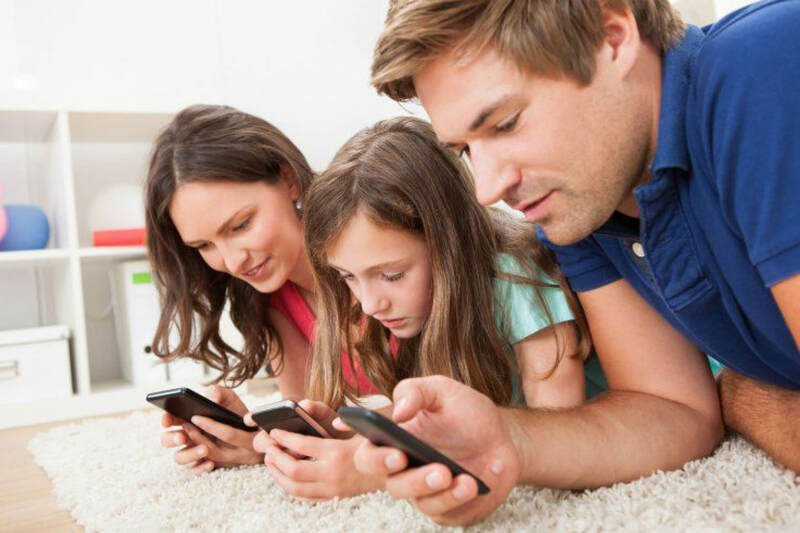 The focus is on helping your children pay attention to what they are seeing and posting. What emotion do I want to feel during and after my social media time today? Choose the social media site according to this emotion goal. What is my purpose for logging into my account today? Seeking information, popularity, entertainment, stress reduction, inspiration, connecting with people that matter, or something else? Choose the social media site according to this purpose goal. How much time do I want to spend on social media? After I reflect on my other goals for the day: exercise, time with friends, work or homework, etc., how do I set a time limit that is realistic and allows for me to meet my other goals? When do I want to spend time on social media? Based on my other life demands and goals, how can I best set aside time when I can prioritize social media enjoyment and use is a healthful way? Make 95% of people you ‘follow’ people that you know. Remember to trust people – NOT pictures because they may be cropped, photoshopped or airbrushed. Stay away from interacting with “hey hottie” commenters who are sexualizing or objectifying you. Post about your efforts, passions and what it is like to be you. Help youth to choose sites that help them feel good about themselves, like Pinterest and Tumblr. Work on not buying into the, “more followers is better” trap. As parents, model appropriate posts on your own social media. It all comes down to starting a curiosity-based conversation with your kids when they are online or when you notice one of their posts. Ask why they posted that picture and what they want people to see or appreciate. As long as your questions are not tinged with judgment or accusation, your kids will likely be open to discussing their intentions, become mindfully attune to their social media usage, and be more likely to stick to and appreciate your household social media diet.